How many copies of you do you think there are? Just the one? Or perhaps many different ones, existing in many different parallel worlds? If your answer is the former, then you might want to sit down: it appears your point of view is logically untenable. Unless you're willing to let go of some other, apparently fundamental, features of reality. The culprit, as ever, is quantum mechanics. In the near-century since its inception the theory has been hugely successful — there'd be no internet without it — yet the things it seems to tell us about nature are next to impossible to reconcile with our experience of it. One way around this problem is to postulate that there indeed are many parallel branches of reality (see below), with new ones budding off all the time. Each of them looks like the world as we're used to it, which is why we never notice. The other is to stick to a single reality and enhance the theory in other ways. It's this latter approach that has recently received a blow from a result by the physicists Renato Renner and Daniela Frauchiger at the ETH in Zürich. We never observe superposition states directly: when we measure the location of a particle, we will only ever find it in one place. Why this should be the case is the big mystery of quantum mechanics. We do, however, have a link between the quantum world and ours. The wave function tells us the probabilities of finding a particle in the various possible locations (or travelling with a particular velocity, or whatever other aspect you are measuring) when we do go and measure it. And it does this very well: if the wave function tells you the probability of finding a particle in spot x is ½, then you will indeed find it at x in half of a large number of identical particle-spotting experiments. There may be more than one copy of you. So what's going on here? The many worlds interpretation of quantum mechanics asserts that when you make the measurement, reality splits into several branches, in each of which one of the possible measurement outcomes occurs. While you observe the particle at location x, a copy of you in a parallel world observes it at location y (see this article to find out more). The new result is based on a thought experiment first proposed by the physicist Eugene Wigner — it's an extension of Erwin Schrödinger's famous cat. The idea is that Wigner puts a friend inside a box with a quantum particle and asks the friend to make a measurement of the particle. Before Wigner opens the box and asks his friend what he saw, Wigner doesn't know what the outcome of the measurement is. This raises a question: does Wigner not know the outcome simply because he is ignorant, as I am ignorant of the latest set of lottery numbers because I haven't checked them? Or is it because his friend has actually gone into a superposition state, with one copy of him seeing one outcome and another copy another outcome? In that case, Wigner doesn't know the outcome because there simply isn't a single outcome. Renner and Frauchiger used this idea to come up with a more complicated theoretical set-up involving four people in total (one of whom we'll still call Wigner), each using quantum mechanics to make a prediction about reality. Renner and Frauchiger then used logic and the mathematics of quantum mechanics to prove that a single-world interpretation of quantum mechanics leads to a contradictory outcome: if there were really just a single world, then two of their imaginary people, despite flawless reasoning on both sides, would make contradictory predictions about the world. The two opposing people are Wigner himself and a colleague, call them Friend 1. The experiment involves possible outcomes labelled "ok" and "fail" and also a coin. 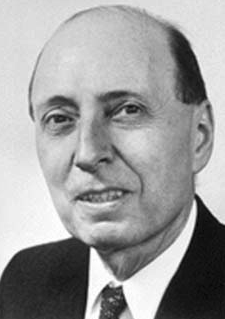 Wigner sometimes sees the experiment producing the outcome labelled "ok" and at the same time can predict with 100% certainty that the coin shows tails. Friend 1, however, can predict with 100% certainty that if the coin shows tails then Wigner cannot possibly see the outcome "ok" — instead he'll see the outcome "fail". These two predictions are clearly at odds, yet they arise from two people with the same knowledge using the same theory without making mistakes. The obvious objection here is that perhaps the theory — quantum mechanics — just doesn't apply. It was developed to describe the worlds at small scales, and perhaps you just can't extrapolate it up to larger scales involving people. But this isn't an option favoured by many physicists. "To say that quantum mechanics doesn't apply to large objects at first sight looks like a possibility, but if you really think about it you realise that an object can't even know that it's large. We are composed of atoms and if quantum theory describes each atom correctly, why shouldn't it also describe the whole collection of atoms correctly? An atom on my finger doesn't even know it belongs to me, so it cannot behave differently because it knows it belongs to a larger object." If quantum theory is indeed universal and true, and if the result is correct, we seem to be stuck between two equally worrying options: either we really do live in many worlds, or reality as we perceive it isn't objective. Matt Leifer explains the Copenhagen interpretation of quantum physics. Matt Leifer explains the implications of the new result for the Copenhagen interpretation. This would deliver a severe blow to what's probably the most popular, and most down-to-Earth, interpretation of quantum mechanics, named after the Danish city of Copenhagen. The Copenhagen interpretation postulates wave function collapse, so reality never splits and there’s only one single world. When it comes to what actually happens in the microphysical world while we are not looking, the interpretation is hands-off: it says that quantum mechanics shouldn't be taken as a literal description of reality. It only tells us what we can know about nature through observing it, but neither it, nor any other theory, can tell us what nature is really like at the microscopic level. This may be disappointing, but it's a lot less weird than the many worlds idea. "People think that this kind of interpretation is built on a very concrete, empirical idea: when you make a measurement, something really happens," says Matt Leifer, a theoretical physicist at Chapman University. "There may be no objective facts of the matter about what's going on in the microphysical world, but when you hear a detector click [according to the Copenhagen interpretation], that's an objective fact." It's this empirical flavour that attracts many physicists to the Copenhagen interpretation, especially those busy with building useful things such as transistors, rather than philosophising about the nature of reality. "For a long time it's been extremely hard to rule out Copenhagen-type ideas," says Leifer. "They say so little about reality, it's really hard to prove them wrong. [But the new result shows] that the naive Copenhagen view doesn't really work. If you want quantum mechanics to be universal, then there can't be an objective, observer-independent fact of the matter about whether a detector has clicked." But is this really it? Is there no way around the consequences of this strange result? Perhaps there is, says Renner, but the alternatives are no less disconcerting. "There might be hidden assumptions. 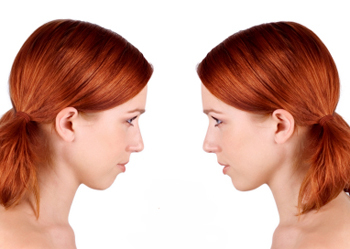 In our thought experiment we use certain concepts that appear to us so natural, we don’t even state them as assumptions. At this fundamental level one questions everything, so one should also question whether there may be concepts that are implicitly used that are just wrong." One of these concerns the nature of time. To us it appears to unequivocally flow in one direction, and that’s certainly what Renner and Frauchiger assume it does in their thought experiment. But why it does so, and whether it really does, is a major puzzle in physics (see this article to find out more). The concept of a flowing time is also linked to the concept of a person. "We assume that if I'm me now then I'm still me a second later. When you talk about someone measuring something then you inherently assume that a person over time remains the same person. That's the assumption that may be wrong — perhaps in certain situations we don't keep our identity over time." It's hard to know what is more shocking — many worlds, unstable identities, or a lack of time — and it's hard to know which one to accept. At the moment it's impossible to conduct Renner and Frauchiger's thought experiment for real, we just don't have the technology. "But I'd make a bet that we can do it eventually," says Leifer. "Usually when we think of crazy thought experiments in physics, they eventually become real experiments." So maybe one day Wigner and his friend will be able to tell us in person what they really saw. 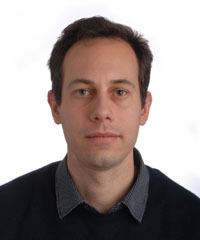 Renato Renner is Professor for Theoretical Physics and head of the research group for quantum information theory at the ETH in Zürich. His research interests are in the area of quantum information science, quantum thermodynamics, and the foundations of quantum physics. 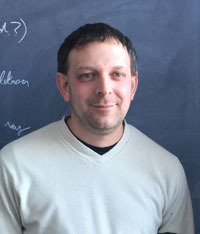 Matt Leifer is an Assistant Professor of Physics at the Institute for Quantum Studies, Chapman University. His research is in the foundations of quantum theory and quantum information theory, especially problems at the intersection of the two areas. Marianne Freiberger is Editor of Plus. She interviewed Renner in September 2016 and spoke to Leifer at the 5th FQXi International Conference in Canada in August 2016. You can listen to Leifer's talk at the conference, about the "dirty secrets" of the Copenhagen interpretation, as a podcast on the FQXi website.